The model of the Epagneul No 2 was first sculpted in 1840. It was a popular subject and was cast in many variations. The Spaniel dog is used in a group with another dog pointing birds and also in one with the dogs pointing rabbits. 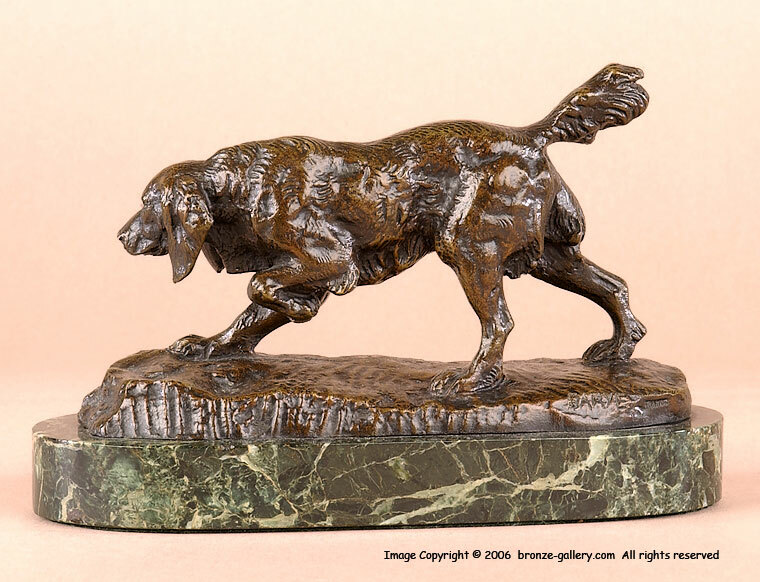 This cast is the original form of the single dog, but it was cast about 1860. 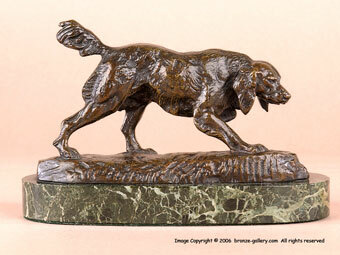 The bronze has sharp details, you can see all the texture in the dog's fur. It is finished in a rich dark brown patina and mounted on a 1" thick green veined marble base. This bronze is illustrated in the book Animals in Bronze by Christopher Payne on page 225.